Los Angelitos, sitting on busy Avenida Rivadivia, is clearly an establishment dedicated to one thing. 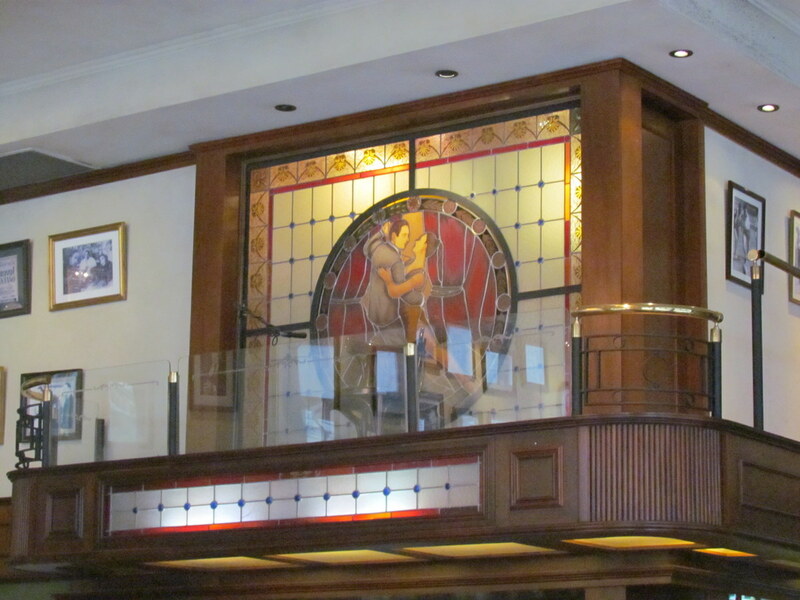 From the stained glass to the pictures lining the wall, it is obvious that it’s all about tango. 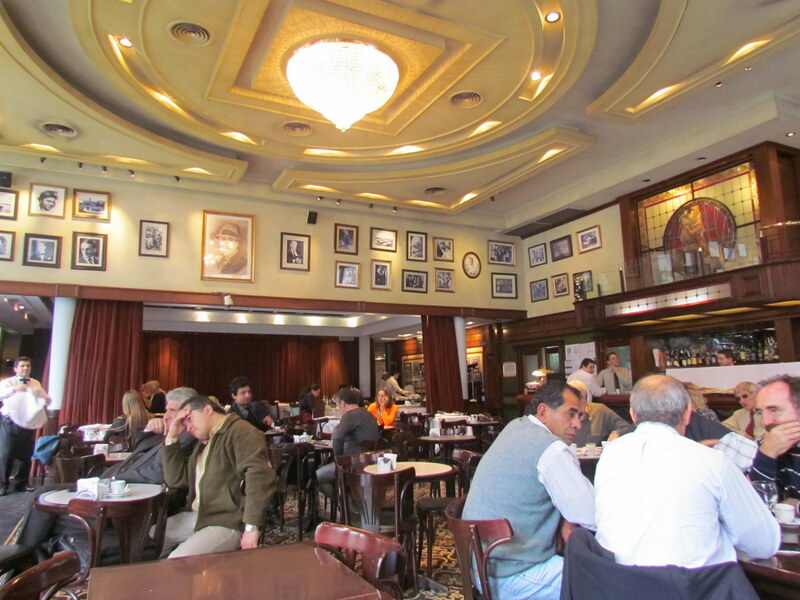 Large, flash, tourist-friendly tango shows run nightly upstairs. There has been a cafe on this corner since the 1890s, but after a compete refit 5 years ago, nothing remains of the original. These days the cafe is large, open and well-lit. 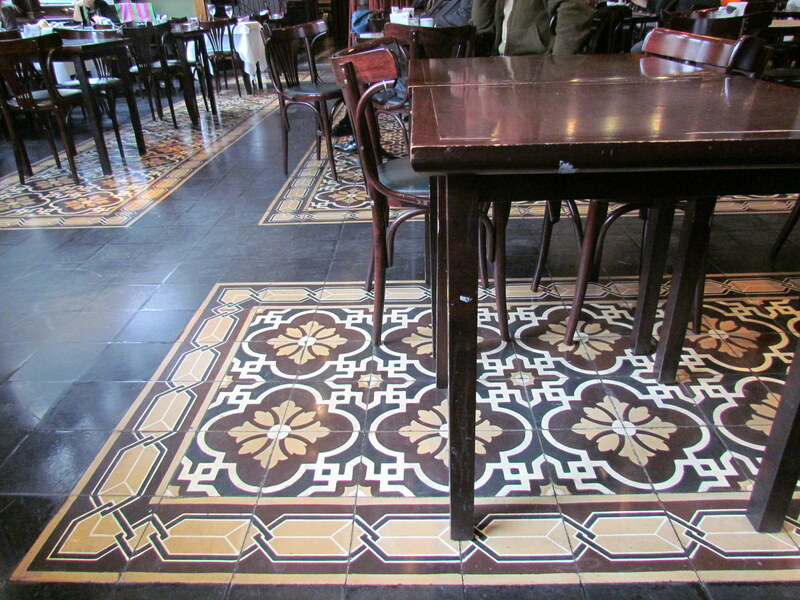 As with several of the refurbished cafes I’ve visited, much of the atmosphere seems to have gone along with the original fittings – I did like the tiles which certainly add a touch of flair. Overall, the Cafe de los Angelitos didn’t leave a huge impression on me – worth a visit if you’re in the area, but I wouldn’t go out of my way.